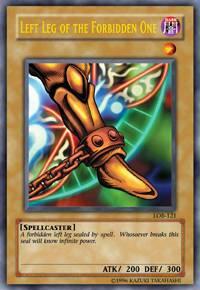 LEFT RIGHT LEG OF THE FORBIDDEN ONE - Yu-Gi-Oh! A forbidden right leg sealed by spell. Whosoever breaks this seal will know infinite power.